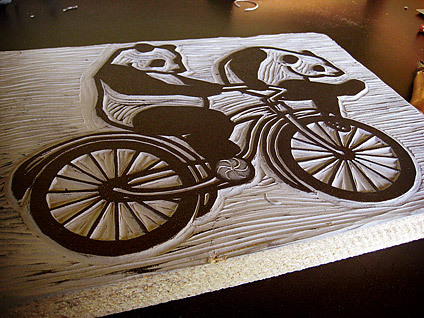 Test Inking – Tin Can Valley Printing Co.
Tin Can Valley Printing Co.
Test inking the panda linocut. The online presence of Tin Can Valley Printing Co., running on Wordpress, using a version of the Illustratr theme, extensively modified by Tin Can Labs. Be the first to hear about news from Tin Can Valley. Your privacy is important. We promise to never be annoying, or share your address with anybody.